Creative auction fundraising ideas for exciting and profitable fundraising events. 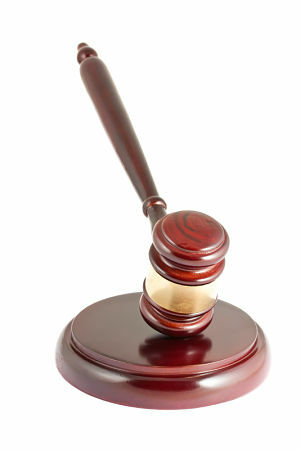 Auction fundraisers are fun, exciting and can raise significant funds for your nonprofit organization. Auctions and silent auctions are not simple or easy fundraising ideas however. They need to be well organized and heavily promoted in order to be a success. But... the time spent will be well worth it, both for the enjoyment factor of your attendees and donors, as well as for the financial rewards for your school, church, or charity. This auction fundraiser is a huge money-maker, mostly because raising babies is so expensive. Manufacturers of diapers, baby formulas, baby foods and baby products are happy to make generous donations because they know that parents will continue to buy their products for a long time. Soon-to-be-parents, grandparents and family friends are also happy to take out their checkbooks and credit cards to bid on the baby shower items as they know these are purchases they will be making in any case. It really is a win-win situation. These are some of the baby shower auction items that are sure to attract high bids and help make your fundraiser a great success. Of course items like baby toys, books and music for babies will do well too and round out your item offerings at your baby shower auction or silent auction charity event. People who love cats spend money on their pets. Some people even spend more money on their pets than they do on themselves. This cat fundraising auction is sure to draw a large crowd of feline enthusiasts. The above items are all for kittens and cats... but cat owners deserve goodies too. Cute gifts with pictures of kitties on them make wonderful additions to your list of items cat lovers can bid on at your charity fundraiser. Dog lovers, like cat lovers, also spend a fortune on their pets. Some dog owners treat their doggies as their canine kids and are always looking for new toys and even pet clothing to buy for man's (and woman's) best friend. A fundraising auction for dog enthusiasts is not only fun, but very profitable too. People dream about taking a cruise to exotic locations, and cruise ship travel agencies love giving away cruises as donations or at heavily discounted prices. They do this because they love the free publicity. They also know that vacationers spend money on-board their cruises. From the alcohol to the spa treatments to the offshore excursions, there are ample profits to be made from donating to your cause. The more that you promote your auction fundraiser, the greater the number of cruises you'll be able to solicit as donations. Browse through the unique fundraising ideas on this website as many of the ideas work equally well for silent auctions and auction fundraising ideas too.